If you are an avid e-book fan, the first thing that you might want to consider to enhance your experience is to shop for the best e-book reader anywhere online. It can be daunting to do since there are a variety of devices to choose from. One of the popular gadgets that catch our interest is the Kindle Paperwhite. Before we recommend this gadget for you, we want to evaluate its features to ensure that it perfectly fits your needs. 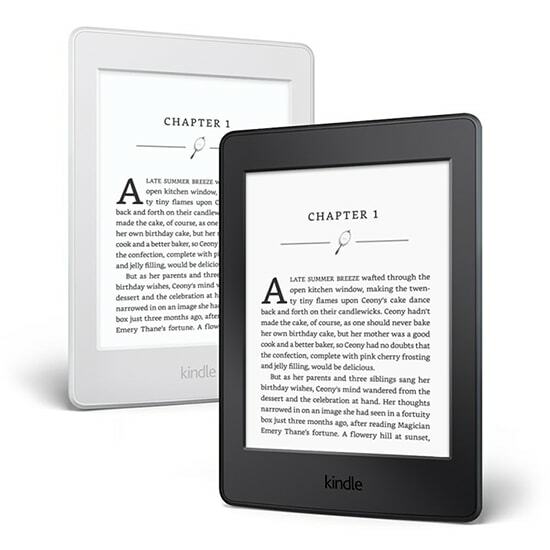 The Kindle Paperwhite is an upgraded type of e-book reader which is equipped with a high-resolution screen and innovative functionality. It provides an easy interface and excellent display. It is a robust gadget that even a beginner will quickly understand how to navigate it. If you are shopping for an ebook reader, you should always consider first the performance of the gadget. Its 300 ppi screen is jam-packed with high-quality pixels to deliver a high-resolution display. It makes each word readable although you want to adjust the size of the paragraph. The texts are crisp regardless of the spacing of each line. One impressive aspect that will also amaze you is the way the page quickly loads when you refresh it. Its lighting is also the contributor that makes the display look more prominent. You don’t have to worry about developing an eye strain if you’re fond of reading the dark because the quality of the lights are just enough to what the eyes can tolerate. Its HD resolution is also one factor why it has this effect. You will even notice that you can still clearly view the words no matter direct sunlight hits it. It means that it is still usable when you want to read on open spaces like parks or beaches. Its style is good, but we cannot say that it is striking. From its color to the material and structure, we can describe it as simple and classic. It measures 169 x 117 x 9.1 millimeter and has WiFi and 3G connections. It is made of plastic with a grip on it so you can hold the gadget comfortably. It doesn’t slip even when you want to use one hand. It is available in matte color which is suitable for users of any gender. It is also lightweight, only about 217 grams, which makes it more comfortable to hold despite using it for a more extended period. If you are not aware yet, Amazon has launched its own typeface inspired by Caecilia called Bookerly. With this additional functionality, reading is made easy and fast. Paragraphs are not broken while the white spacing is presented neatly. This new development makes the sentences readable regardless of the size of letters. The Kindle Paperwhite is easy to use and navigate. All the menus can be accessed by touchscreen. It makes the gadget more responsive while you scroll through the page. However, take note that the touchscreen is sensitive, so you have to make sure that the device will not fall. You only need to tap the right of the screen if you want to turn it to the next page. Its speed during this process is also impressive because you don’t have to wait for it to load the next paragraph. You can go back to the previous page by tapping the left screen. You can simply tap the bottom part if you want to check the estimated time left of reading the book as well as the page on where you are at. Tapping the top screen, on the other hand, will allow you to access the menu. It will bring down the settings that will enable you to adjust the brightness, font style, font size, line spacing, and margin. You can also quickly go to the next chapter through this menu. You can also long press a word to get its definition. It also allows you to bookmark your favorite pages or highlight text. You can also enable the landscape view if you are more comfortable reading that way. This factor is something that you also need to consider most especially if you always travel and reading is your past time during this period. It is said to have a longer battery life which can last up to several weeks of use or depending on the hours of usage in a day. That is actually impressive for a cheaper price kind of device. Take note that the battery life still depends on how long you use the device. Therefore, you shouldn’t expect that you can reach the marketed offer before charging it. Factors like brightness and type of connection are just two of the few things to consider. It will not fail you when it comes to its store. There you can find millions of books available. What makes it perfect is you can shop for a book using a different device and send it to Kindle Paperwhite. You also have the option to use a 3G network if you don’t have a WiFi connection. Although you cannot insert a microSD card on it, its storage capacity is still enough to keep thousands of books. If you want to upgrade its space, you can purchase cloud storage from Amazon. We’ve found many improvements in the Kindle Paperwhite. There is a bit of tweak to the character spacing to ensure that the words look better. Page layouts were also improved to make reading hassle-free. We wish the Kindle Paperwhite will also have a premium design that looks elegant. For us, it is too simple, and people who want to go for attractive design will most probably check other alternatives. It looks plain and ordinary, making a person feel like it has no robust features. It should be something that will catch everyone’s attention no matter it is lined with the other products. We love the features and functionality of Kindle Paperwhite although there is a slight drawback when it comes to its design. Its ease-of-use is a winner for us. It is a must-have for those who are on a tight budget yet want to enjoy their hobby.